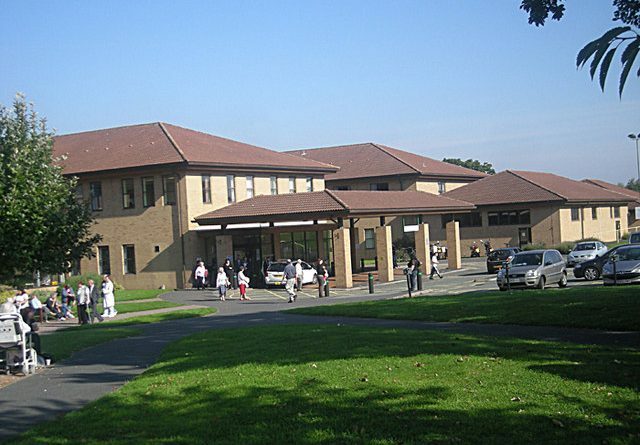 A new system which has made it easier for people to pay when they park at the Royal Shrewsbury Hospital (RSH) is to be introduced at the Princess Royal Hospital (PRH) in Telford next week. From Wednesday 8 June 2016, a new automatic number plate recognition (ANPR) system will be launched to manage car parking at PRH. This system will deliver some key improvements, including a range of more convenient ways for people to pay on exit, improving the flow of vehicles to make spaces available for those who need them, increasing security, and allowing parking attendants to concentrate on helping visitors rather than enforcement. There will be no change in parking prices when the new system is introduced. ANPR works by recording your vehicle registration when you enter and exit the car parks. This means we can offer visitors a variety of different ways to pay once their visit to the hospital is complete. This could be by using the onsite machines to pay by cash, debit or credit card; or paying over the telephone or online when they get home. This removes the burden of having to ensure you have the right change to pay for a ticket upfront when your main concern is to attend an appointment or visit someone in hospital. The onsite payment machines, which are much more reliable than the current “pay and display” machines, will be under cover and there will be more machines at the Shropshire Women and Children’s Centre for patients and visitors parking on that side of the site. Parking charges at SaTH are still among the cheapest in the country, with people being able to park for up to 30 minutes without charge, and paying £3.50 for five hours or more. Patients receiving dialysis, radiotherapy or chemotherapy and people visiting hospital for issues connected with bereavement are able to park for free. Anyone needing to attend hospital regularly can buy a discounted 10-visit ticket for £8. On the day ANPR is introduced at PRH, staff from CP Plus, which manages the public car parking areas for the Trust, will be on hand to help people find out where to park and to help with any issues operating the new machines. We still shouldn’t pay to go to hospital ! I have to have regular blood tests at the hospital. I have paid out a small fortune in car parking charges over the last two years which I think is scandalous . Now got half a parking spaces have been allocated to staff parking can be a nightmare at times . So no,I can’t see any improvement at all,in fact I think it’s probably worse. My son who is in the military had an injury and had to have a X-ray being new to this area he didn’t know the system and said he didn’t notice any clear signs of parking charges. Two weeks later he was issued with a fine through the post which he will pay however if he had noticed the ways to pay online etc he would of paid up. Come on princess hospital stop ripping off your patients especially people new to the area. Same thing has just happened to me, I took along a friend as a favor and sat with her children in the car to take care of them while she had her appointment. I didn’t realize that there was a parking charge where we parked, now today fine in the post. So much for helping others. What about motorcycles, I don’t own a car, do I still have to pay or is there a reduced rate, I have looked on the PRH website but there is nothing mentioned.